It is the best way to assess tutors' performances. The foundation of creating a well-connected community, both sides have to take initiative and make the bonds stronger. To offer you a better service, you should help us in assessment. That's where our rating & recommendation system kicks in. Right after every tutoring session, students will receive an e-mail with the title of "How was your lesson?" This is an opportunity for students to rate the lesson and provide feedback accordingly. Students can click on "heart" (if you liked the lesson) or "broken heart" (if you didn't like lesson) each lesson individually. Each heart will appear on the public search and will help the tutor to be on top of searches (picture below). Sending a link to their existing students. Tutors can access this link by going to Profile > Recommendations > Get Recommendations. The animation below shows how to send a link to the student. 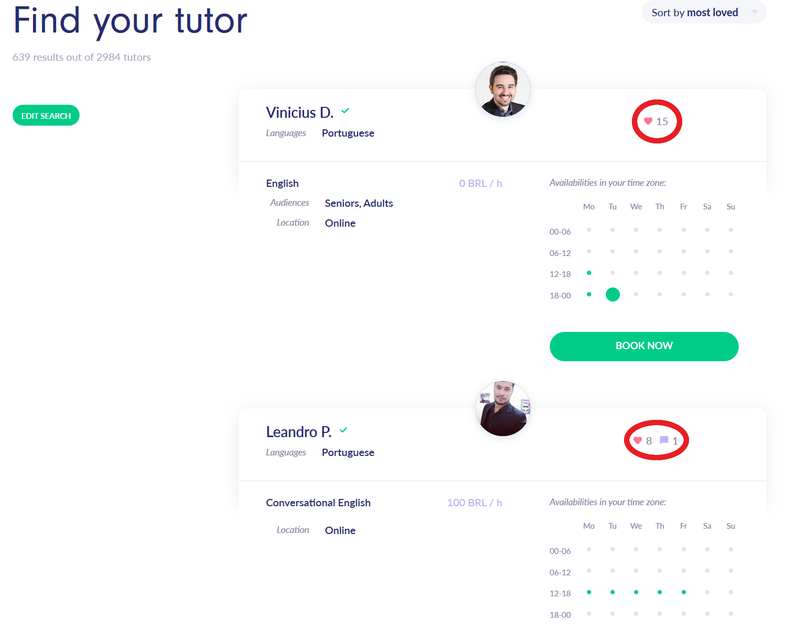 Recommendations will only be published on tutors' profile upon their approval.